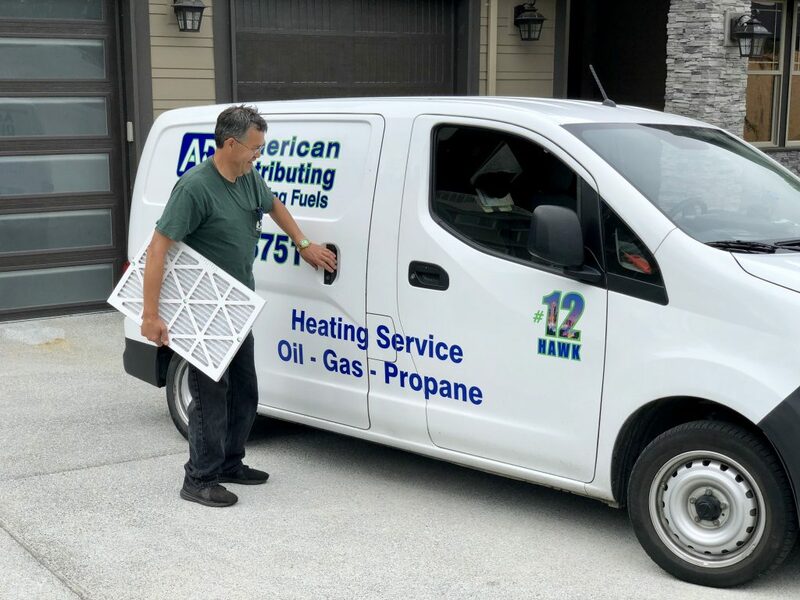 When it comes to propane, you can trust American Distributing to work with you from start to finish — from installing your propane tanks to delivering the fuel that provides hot water for your morning shower, warmth for your evening comfort and heat to cook your meals. 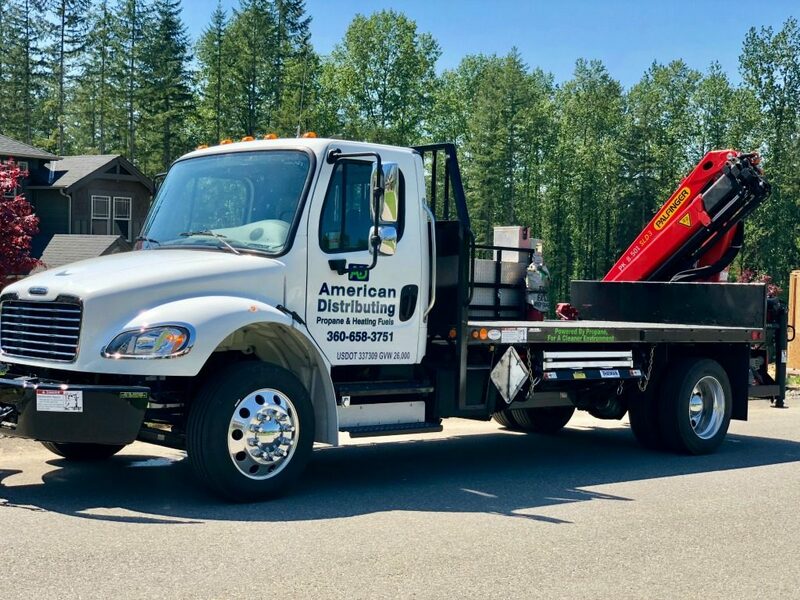 American Distributing is a full-service propane supplier serving all of Snohomish and surrounding counties. We have endeavored over the years, and continue to work hard every day, to earn our reputation for outstanding customer service and prompt propane delivery. With us, you’re a neighbor as well as a customer — never just an account number. Put your trust in us for energy that works efficiently for you. And for people who strive every day to deliver the best in service. Regularly scheduled, no-hassle propane deliveries so you do not have to remember to call. Will call option available also if you prefer to request deliveries. Pay-as-you-go each time we refill your propane tank, with approved credit. Statements are mailed to the customer at the first of each month. to smooth out the peaks and valleys in monthly energy bills. We accept Visa, Discover and MasterCard as well. Heating and hot water system efficiency is a measure of the amount of usable heat extracted from the potential energy of the fuel. For example, if your heating system is evaluated at 85% efficiency, it means that 85 cents of every dollar spent for heat and hot water are consumed within the home. The balance is exhausted through your chimney or flue exhaust. Thus, the combination of high efficiency and minimal exhaust of emissions are desirable traits for a home heating fuel. Oil-fired equipment has always provided these features for both heat and hot water. There are many ways to compare heating system efficiency. The most widely accepted measure is the U.S. Dept. of Energy’s Annual Fuel Utilization Efficiency (AFUE).Using this benchmark, Oil-heat gets excellent ratings. Annual Fuel Utilization Efficiencies of new oil equipment range from 83% to 94%. The average gas unit sold has an AFUE in the low 80’s, while ratings on individual gas units vary from 78% to 95%. While the high end efficiency of some natural gas systems may look attractive, they exhibit higher water vapor in the exhaust than an Oil heat system- which can be corrosive to the heating unit. Electric resistance heat has between 27% and 31% AFUE; air to air heat pumps between 51% and 62%; and geothermal heat pumps 76% to 82% AFUE. Electric heat is inefficient because nearly two-thirds of the heat value of the fuel is lost in the generation and transmission. With Oil heat, you create usable heating energy right at your house and distribute it throughout your home. Modern oil heat systems are among the cleanest of combustion devices. New oil burners release near zero levels of smoke and combustion discharge. Residential oil burners produce less than one-third of one percent (.003) of total particulate emissions in the U.S. each year. According to government research agency studies, neither fuel releases particulate matter of any consequence. Emissions from residential gas burners are about the same as equivalent size oil burners. While electric heat at the point of use has no emissions at all, the power plant creating the electricity may be giving off significant emissions depending on how power is generated. Oil heat is environmentally sound! Competitor innuendoes and exaggerated media reports that depict heating oil as an environmental hazard are unjustified. Residential oil tanks do not present a threat to human health or the environment. A properly installed and maintained oil tank can last for decades. Oil heat has the least environmental impact of any type of space heating and hot water fuel, attributable to its high efficiency and clean burning. Natural gas and propane are similarly benign, while electric, coal, and wood heat are far more detrimental to air quality. Oil heat is economically smart! The price of energy in the region where you live is the most dominant influence on total heating costs. For example: The installed cost of an electric heat system may look attractive, but when you calculate the annual operating costs for electric power in particular, any first time savings vanish. For the past four years the cost for Oil heat has been consistently lower than comparable natural gas costs. In climate regions of the country where Oil heat is dominant, the cost to a homeowner for utility supplied natural gas in 1995 can be as much as 40% more than Oil heat! Energy analysts do not foresee that the price advantage for Oil heat will diminish anytime soon. The best way to compare energy prices is to calculate the price per BTU, a unit of heating value, for each fuel. Kerosene has 131,890 BTUs per gallon; 1.05 gallons equals the heat content of one gallon of heating oil. Energy prices can vary widely across the country. Your Oil heat dealer can provide you with the information to accurately compare energy prices in your area..
Oil, gas, electric heat all have commendable safety records when the equipment is installed properly and maintained regularly. However, when heating units malfunction safety hazards can occur. Heating oil is non-explosive. If a heating oil leak should occur, it is not an explosive hazard. When natural gas leaks, an explosive mixture of air and fuel forms rapidly. Heating oil will not burn in a liquid state. If you were to place a lit match into a vial of heating oil, the match would be extinguished because heating oil in liquid form is well below it’s flash point of 140 degrees F, the temperature at which it begins to vaporize in order to fire inside a burner. By contrast, natural gas will burst into flames when mixed with air if a match is struck in their presence. Oil heat enables you to have a supply of fuel oil stored safely on your property. Do not worry about the weather, because the oil in your tank is yours to use for heat and hot water whenever you want. By comparison, in extremely cold weather, natural gas customers can be subject to pressure drops in the pipelines. A severe pressure drop can result in total loss of heat. Oil heat is a sensible selection! Dustac® Road Binder provides a superior, economical treatment for stabilizing unsurfaced roads and keeping them free of dry-weather dust. It has a long history of use on secondary roads. In fact, enough Dustac® Road Binder has been used worldwide to circle the equator with sixteen-foot road. Eliminate dust clouds on roads, thereby reducing equipment wear and the driving hazards associated with poor visibility. Create a firmly-bound road surface that has increased traction and skid resistance. Increase road compaction resulting in a reduced need for road repairs. Increase the load-bearing strength of the roadbed, thereby expanding road use to heavier vehicles. Produce a stable base suitable for subsequent application of asphalt or other road materials. What is Dustac® Road Binder? Dustac® Road Binder is a calcium lignosulfonate product derived from lignin – nature’s glue for binding cellulose fibers to form the rigid woody structures of trees. It is made from the sulfite pulping process at NW Mills in Bellingham Washington. The binding action of lignosulfonates is a well-known characteristic that has found great utility in a variety of applications. Dustac® Road Binder is naturally tacky when moist and exhibits excellent adhesive action on solid particles. In certain instances, the engineering properties of some roadbed soils can actually be improved because of the wetting and dispersing characteristics of lignosulfonates. Reduced Road Repairs: The use of Dustac® Road Binder results in greater road compaction. Therefore, less road maintenance is necessary and potholes and washboarding occur less frequently. Furthermore, road use can be resumed immediately after application of Dustac® Road Binder. Lower Material Costs: As a dust-control agent, Dustac® Road Binder costs less on an applied solids basis than comparable road treatment materials. Rewetting or light rain rejuvenates the binding action of Dustac® Road Binder for long-term effectiveness. In arid locales, Dustac® Road Binder may be a preferable alternative to the use of an intensive daily watering program which may be cost prohibitive. Longer Lasting Equipment: Heavy equipment requires fewer repairs and lasts longer when not subjected to dust that can clog filters and freeze bearings. Elimination of Dust Clouds: Dustac® Road Binder eliminates dust clouds on roads, thereby reducing the driving hazards associated with poor visibility. Improved Traction: Since Dustac® Road Binder creates a uniform road surface, traction and skid resistance are enhanced. Dustac® Road Binder has a neutral pH and is considered environmentally safe. Unlike petroleum products and salt solutions, it preserves roadside vegetation without the leaching of hydrocarbons or heavy metals into surrounding soils. Dustac® Road Binder is a bio-degradable, nontoxic, nonhazardous material. It may be applied around environmentally sensitive areas such as aquifers, lakes and streams and recreational and residential areas. In addition, Dustac® Road Binder is noncorrosive, having a corrosion rate comparable to tap water. What if I am no longer using heating oil to heat my home? the tank owner may be held liable for damage caused by a leaking tank. Neither the federal government nor Washington State regulates the use or operation of residential heating oil tanks. However, some local governments have requirements or guidelines for closing and removing these tanks. Before you remove your tank, talk to your local Fire Marshal and city or county building department. Ask American Distributing Co. about permits, inspections, or other requirements that may apply to residential heating oil tank closure or removal. Regulations and policies vary from place to place and may change from time to time. a possibility. The home owner could be held liable for injuries caused by a cave-in. left buried in the ground. The rest of this report contains some commonly asked questions about residential heating oil tanks and the Department of Ecology’s answers to those questions. What should I do if I have an unused heating oil tank on my property? 1. Find out what’s in the tank. Most underground residential tanks are easy to find. If you have trouble locating your tank, try following the fuel lines from the house, locating the tank vent pipes, or use a hand probe or metal detector. Insert a long stick into the tank until it touches bottom. Remove stick – If there is oil in the tank you will be able to see it on the stick. Sometimes a tank will contain oil and water, or primarily water (the water will settle to the bottom, the oil will float on top). You can check for water by putting a small amount of water- reactive paste on the end of the stick and inserting the stick into the tank. If there is water in the tank, the paste will turn color. The paste can be purchased from American Distributing Co.
2. Have all unused heating oil removed from your tank. NOTE: If you have an unused heating oil tank, do not re-fill it unless it has been checked by American Distributing Co., and never put household waste like paint, antifreeze, or used motor oil into an unused residential heating oil tank. a) If the tank has leaked, it will be easier to find and clean up any contaminated soil. b) Often, home buyers and lending institutions require assurance that the property is not contaminated before agreeing to complete property transactions. The bestway to provide that assurance is to remove the tank and sample the soil in the pit. Tank removal allows visual inspection of the area under the tank and more accurate soil sampling. Remember to keep reports of tank removal and soil samples for your records. Below are some of the activities American Distributing Co. will probably do when removing your tank. Pump all remaining oil from your tank. Excavate down to top of tank. Remove potentially explosive vapors from the tank. Remove the tank from the ground. Properly dispose of the tank. This is a popular option for residential tanks – especially if removal isn’t possible. But before choosing this alternative, consider the future of your property. Potential buyers or lenders may require you to remove the tank, and a filled tank is harder to remove (unless it has been filled with foam). Below are some activities American Distributing Co. will probably do when closing your tank in place. 1. Pump all remaining oil from your tank. 2. Clean out any sludge in the bottom of the tank. 3. Remove or cap all lines. 4. Fill the tank with inert solid material, such as a weak cement slurry and sand. 5. Plug or cap all openings in the tank. How can I find a company or contractor to do my tank work? Many companies provide services for residential heating oil tanks. Some companies provide pumping, cleaning, filling, removal and disposal services and some specialize in one or two services. 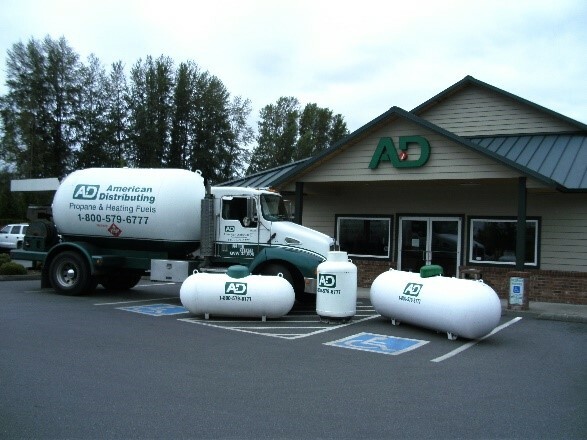 American Distributing Co. is a company that will pump and clean your tank or fill or remove your tank. The Department of Ecology recommends that you hire an experienced person to do the work. Our employees have “Hazardous Material” certificates and issue “Tank Decommissioning” certificates. How much does it cost to have tank work done? programs to donate oil to low-income residents. American Distributing Co.
your area, call 1-800-RECYCLE or check with American Distributing Co.
at 1-800-579-6777, 360-658-3751 or 425-252-2126. Companies that clean tanks and/or recycle waste oil always have to consider the possibility that there may be hazardous substances in the waste oil or sludge. They must include testing and handling costs when filling or removing a tank, and that in turn affects your cost. May I do the work myself? While there is no law prohibiting you from doing the work, the Department of Ecology doesn’t recommend doing tank removal yourself because of the potential safety risks. You should hire an experienced contractor to do the work. Working on an underground heating oil tank can be dangerous. Under certain conditions these tanks can explode. Working in the excavation pit, cutting open or handling heavy tanks, and using power equipment also pose risks to the home owner. Never enter an underground storage tank, even if it has been cut open. The Department of Ecology recommends that you hire an experienced contractor to perform the work. record the level of fuel in the tank. Make sure the furnace is completely off. What should I do if my tank has leaked? Knowingly using a leaking tank is negligence. If you discover that your tank is leaking you must take immediate action to stop the leak. The best first action is to have all heating oil pumped from the tank. Leaks from heating oil tanks are usually discovered when underground tanks are removed, when vapors or heating oil seep into basements, or when heating oil levels drop faster than they should based on the amount of oil being burned. In most cases where a tank has leaked, only the soil near the tank is affected. Sometimes, however, the heating oil may also have contaminated groundwater or surface water. evaluate the extent of contamination caused by the leak. determine if it is a threat to human health and the environment. clean up any contamination caused by the leak. Should I report the leak to Ecology? Minor leaks or spills from residential heating oil tanks do not have to be reported to the Department of Ecology. Minor leaks are those that affect only the soil near the tank. If heating oil has gotten into surface waters, such as creeks, lakes, rivers, or storm sewers, you must report it immediately to the Emergency Management Division at 1-800-258-5990. If your heating oil has caused any of the following situations, you should report the leak to the appropriate Ecology regional office within 90 days. The heating oil has reached adjoining properties. The heating oil has affected a well or groundwater. The heating oil has caused vapor problems in nearby buildings. The heating oil has pooled on the surface of the ground. The heating oil has caused extensive soil contamination. NOTE: The Department of Ecology reserves the right to take future action in unaddressed or unreported situations, should the need arise. Should I clean up contamination caused by my leaking tank? Yes, you should clean up contamination caused by a spill or leak of heating oil. Leaks can pollute wells and streams, and the vapors can make you or your children sick. If you have contamination, you will probably want to hire American Distributing Company. When the cleanup is completed, your cleanup contractor should give you a copy of the cleanup report and “Tank Decommissioning” certificate. Should I send a copy of the cleanup report to Ecology? Cleanup reports of minor leaks from residential heating oil tanks do not need to be sent to Ecology. Ecology does not track or report on these cleanups. The home owner should keep the written cleanup report for future reference by lenders and potential buyers. Cleanup reports on more extensive leaks from residential heating oil tanks should be sent to the appropriate Ecology regional office. Ecology will keep track of and report on these sites. Contact an Ecology Office for your region.